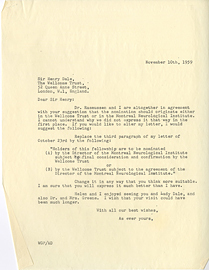 Letter from Wilder Penfield to Sir Henry Dale, September 10, 1959. 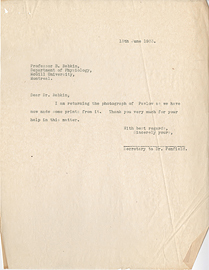 Letter from Wilder Penfield to Sir Herbert Holt, July 29, 1934. 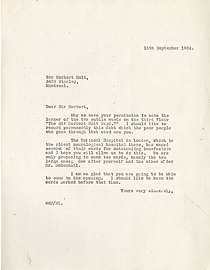 Letter from Wilder Penfield to Sir Herbert Holt, September 15, 1934. 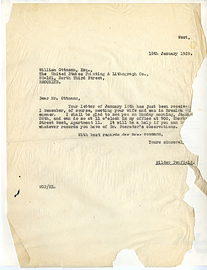 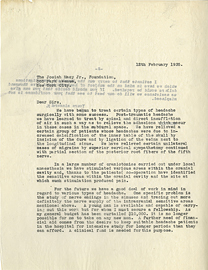 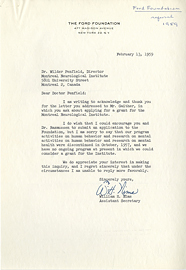 Letter from Wilder Penfield to The Josiah Macy Jr. Foundation, February 12, 1935. 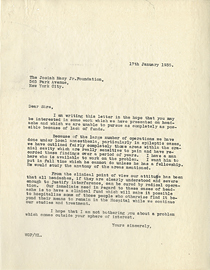 Letter from Wilder Penfield to The Josiah Macy Jr. Foundation, January 17, 1935. 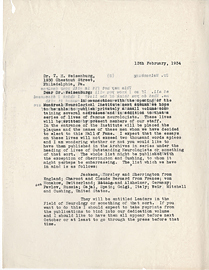 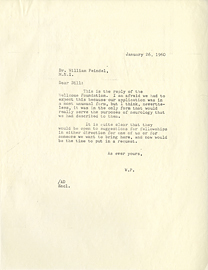 Letter from Wilder Penfield to Theodore H. Weisenburg, February 13, 1934. 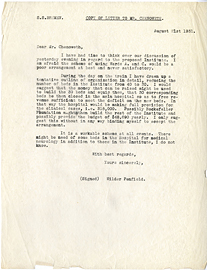 Letter from Wilder Penfield to W.R. Chenoweth, August 21, 1931. 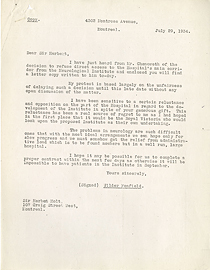 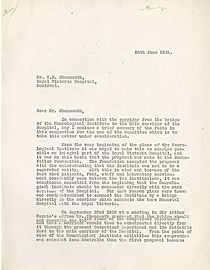 Letter from Wilder Penfield to W.R. Chenoweth, June 25, 1934. 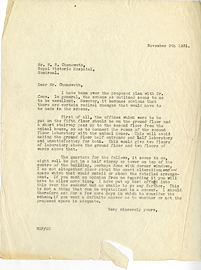 Letter from Wilder Penfield to W.R. Chenoweth, November 9, 1931. 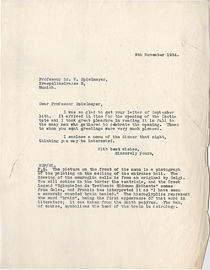 Letter from Wilder Penfield to Walther Spielmeyer, November 9, 1934. 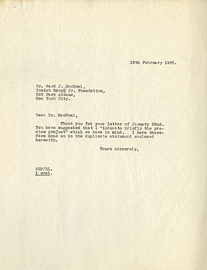 Letter from Wilder Penfield to Ward J. MacNeal, February 12, 1935.